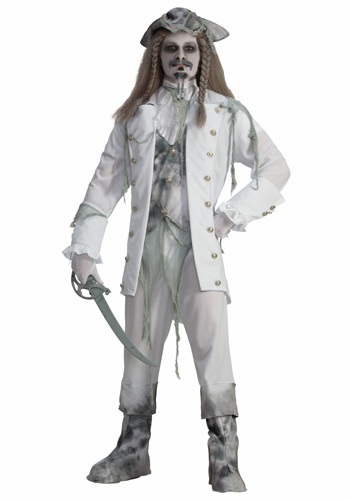 Mens Ghost Captain Pirate Costume By: Forum Novelties, Inc for the 2015 Costume season. Once a captain, always a captain. In life, the seas were your home. Now they're your death bed. Haunt the mystic oceans in this ghastly Men's Ghost Captain Pirate Costume! Add some terrifying makeup for deathly buccaneer look.